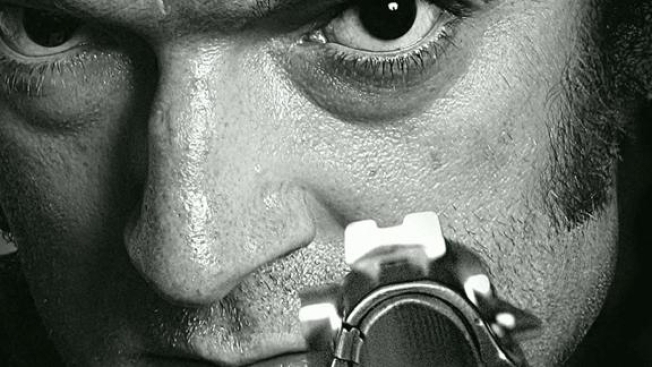 Home Video Review: "Mesrine: Public Enemy #1"
Cassel’s performance here isn’t quite as nuanced as in the first part, “Killer Insitnct,” but that’s because Mesrine is a more fully formed character at this point. Yet Cassel revels in the absurd number of wigs and facial hair he dons, as Mesrine tries to dupe both victims and police, and puts on a nice 20, 30 pounds, to boot. It's an amazing transformation from a man who is so nimble and lithe. Mathieu Amalric as Francois Besse, Mesrine’s partner in crime for much of the film, is a treat to watch. The look of first confusion, then bewilderment and ultimately fear on his face as he realizes how delusional and hubristic Mesrine has become is hilarious. By this point in his career, Mesrine fancies himself a modern-day Robin Hood trying to take down the system. But as another partner points, every time he robs a bank he goes out and buys jewelry and cars, pouring the money back into the same capitalistic sewer. The realization that he is merely a symptom rather than a cure is distressing to him, to say the least. Director Jean-Francois Richet’s robberies and breakouts are consistently sharp and exciting, and he saves his best for last. The film’s final denouement is expertly executed, with the deafening silence heightening the tension of a moment that can only have one conclusion. “Mesrine: Public Enemy Number One” is an entertaining shoot-em-up gangster story on its own, but to really get your money’s worth, first watch “Killer Instinct,” ideally watch them in fairly quick succession. And yet, the two parts were released on home video more than a month apart—one can only assume some actuarial table determined it was the best way to maximize their profits, but it does the film and its audience a disservice.